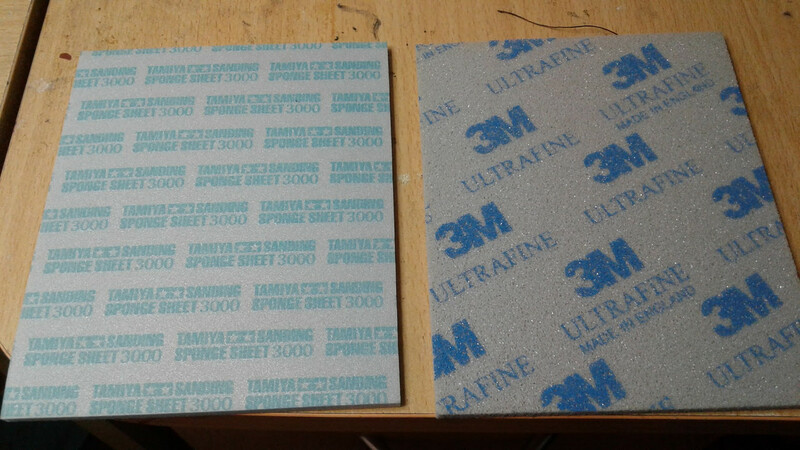 For several years I have used some great sanding pads from 3M, for 300 grit. The pads were about 3/32 thick, and were like a checkerboard pattern, holes in the white areas, pad with the abrasive in the black (the pads were actually blue). They were great for wet sanding. The open areas let the water flush the residue out quickly, the soft sponge-plastic-like material made them supple- easy to sand around bumps and detail. I used up my last pad, and went to Menards to get some more, and they didn't have any. Employee said they no longer carry those. He didn't know whether 3M discontinued them or Menards Corporate just decided not to carry them. Anyone else familiar with them, and know whether 3M still makes it? Look in Lowe’s, Home Depot, or any hardware store. I forget what they are called, though. I know they are 3M, but the one I just threw away was the last one from the package. I do remember they called them something but can't remember what. Try an auto paint supply store. I use some gray 3M 400 grit. They are dry sand pads, don't know if they'll hold up for wet sand or not. No perforations in them. Stamped "3M Superfine"
Nope- not the same. The ones I am talking about are on a blue substrate, the grit itself is just a slightly different shade of blue- though it may be colorless but so small it changes shade of substrate. Don, sanding sponges are available at American Science and Surplus. A very good source for some modeling supplies. don . have you tried tamiya ? No! I was not aware that Tamiya offered any sanding products. What are they like? Hey Don. Is the the stuff you are looking for? I have 3m pads as well as tamiya , they look exactly alike to me and perform the same , and I am sure you can still get 3m from e-bay as well don . Nope, those are something different. 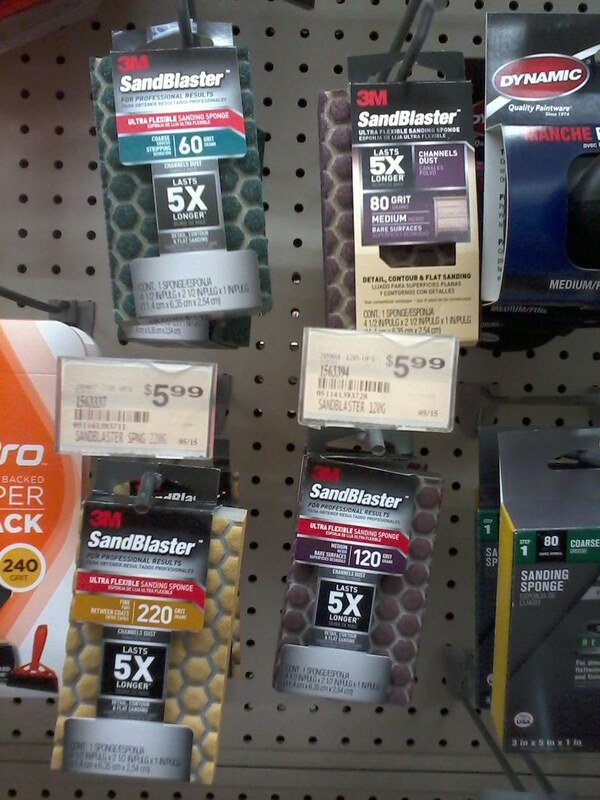 3M seems to be using the term Sandblaster to be a whole line of novel sanding materials. I will try to shoot pic of the stuff I mean. Don, please do. I can check the stores in my location to see if any are available for you. these are what I was talking about don . 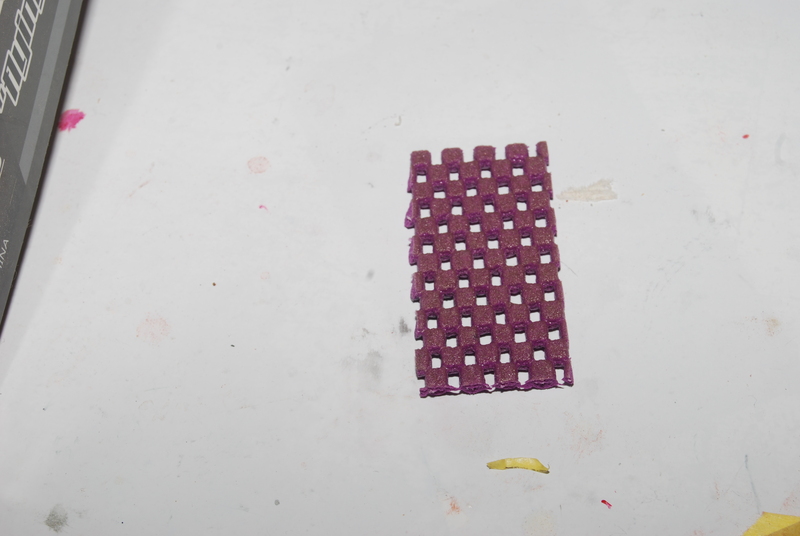 Here is a shot of my remaining piece of the material. This is 600 grit- it came in 400 and I believe maybe 400. Note the holes. This made it very flexible and allowed the water to more easily flush away the sanding dust. You were not kidding about it being a checkerboard pattern. I will check some of the stores in my area as I go about. I will let you know. After seeing your picture I knew it looked familiar so I checked and indeed have a 3 pack of 3M Sandblaster Flexible Finishing pads 2 1/4X5 3/4 in 400 grit and a pack with 2 3X9 also in 400 grit. I bought them for woodworking and didn't particularly like them versus regular sand paper and have more than ample supplies for modeling so I don't need or want them. Send me your mailing address and I'll send them to you. If you're not sure it's the right thing send me an email address and I'll return a picture. I can't do pictures on the forum yet but maybe in my next life I'll figure it out. Maybe. Jeff, I don't want to rob you of real treasure! Try them on your next project. I even use them for wood bases for my models (and other woodworking projects). I like gloss finishes on my bases, so when I get a few coats of clear varnish on it, I go to these things and with very little work these things really give me that spectacular finish. If they are still available, I'll find a way to get more. If not, keep your treasure. Don-- I had no luck finding this locally. I found references to it on the Lowes and Amazon websites and both have it as unavailable. Looks to be discontinued. PS: This place says limited stock remaining. Might be worth checking with. They only had it in 220 grit. I have no use for that grit. For something that coarse regular paper works fine. It is in the 400 and 600 grits that its advantages really shine. I now have some of the 400. Jeff graciously sent me his remaining supply- he did not like how well it worked on wood. It was worth a try. You're welcome. You know this is kinda funny . I had some and gave them to a friend who does " Cigar Box Guitars ". I actually didn't like them ! I still use good old worn down "Wet or Dry "
Oh, I use a lot of just plain sandpaper too. The problem comes when sanding areas with compound curvature, specially hollow areas, or areas like wing root/fairing with double curvature. Then I have to resort to some sort of sponge.